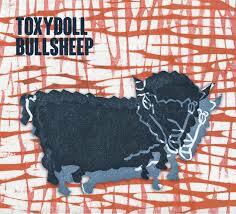 When I saw Toxydoll at Nocturna Discordia #64, I’d not heard of them before. If you want to know what kind of first impression they made, consider that the following evening, I crossed town to see them again, this time playing a short set at Barcelona’s Ultra-Local Records. Toxydoll use a palette of free jazz sounds (especially Doménech’s alto), then stir in some prog compositional structures, a pinch of 70s blues-rock guitar and drum riffs, surprising touches of melodic jazz fusion, and mix it up with punk-industrial bludgeon. It’s an ambitious recipe – an oddball musical collage – and it works. The opener, Meal for Mum, starts with a simple organ riff, building in volume and tempo until imploding into elegiac saxophone driven by a cymbal-heavy rhythm. It’s tight, engaging and compelling, but Toxydoll can’t resist mischief and half-way through the tune it becomes an abstract electronic soundscape which in turn becomes the canvas for a free jazz horn solo that retains a strong sense of melody. By way of contrast, cue the intro of Hands Against the Bike! which bristles with Cavenati’s crunchy guitar, alternating with his bandmates in a call-and-response sequence before Doménach lays out the theme. Bullsheep X is all swaggering drums and guitar riff, interspersed with a saxophone and electronics refrain edged with melancholy. A highlight is the fluid, heavy drum solo that shows off Nosova’s power and precision. Renato Pulled a Number is dominated by fuzzed-out and angular, blues-infused guitar before Meanza’s electronics lead us to a gentler and thoughtful sax-led coda. And so it goes… at times magnificently dissonant, at others right in the pocket of a tight groove. Strong sax melodies that twist and turn, abstract, dense electronics that are both crushing and whimsical, precise and understated guitar that erupts into free blues, and intense, febrile drumming that stitches everything together. Zoft Mascheen is a languidly enthusiastic tribute (say the title out loud) and Mantis Dance is another showcase for all concerned, including no less than two drum solos (and may I say how nice it is to hear a good drum solo on record and not just in a live performance). Finally, Sheepshifter is a slow burn, building, building, building, before easing out with a last electric shimmer. Toxydoll: refracting a dozen influences through their own peculiar prism. “Bullsheep” is available from Aut Records on Bandcamp.